The Conference for the presentation of the Center for Studies on Freedom of Religion Belief and Conscience (LIREC) was held in the Chamber of Deputies. 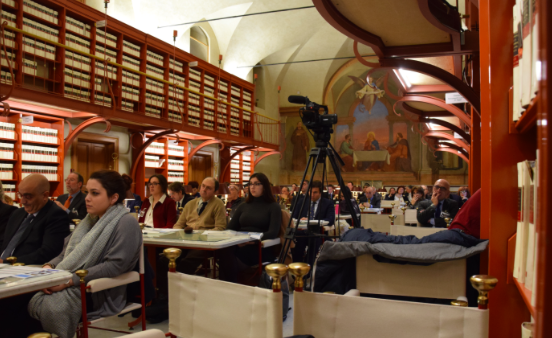 The presence of a hundred participants and numerous authorities and representatives of twenty associations, including many religious and spiritual minorities, was the most significant and interesting element of this event which was aiming to present to the public, media and institutions, the Center for Studies on Freedom of Religion Belief and Conscience (LIREC) which was founded on August 9, 2017 in Rome. The conference opened with greetings from Hon. Lacquaniti, MP, Senator Malan, Hon. Rostellato, MP, and by Fabrizio Petri, Minister Plenipotentiary and President of the Italian Committee for Human Rights (CIDU), who welcomed the foundation of the Center for Studies on Freedom of Religion Belief and Conscience (LIREC) whose function, in a time plagued by fundamentalism, terrorism and global conflicts, which are somehow related to religious and spiritual diversities, can and must reduce conflicts and discrimination, through favoring knowledge of other groups and minorities in respect to their social context. 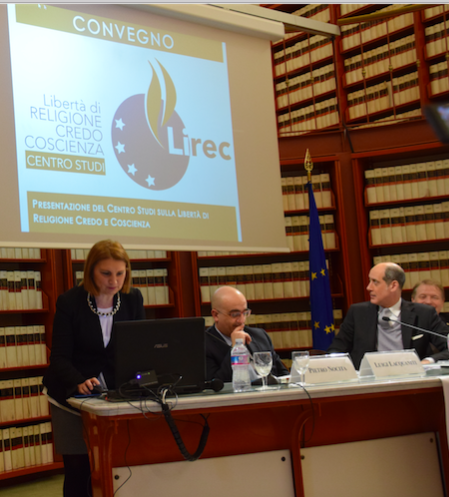 The Director of LIREC presented the guidelines, foundations and strategies that the Center intends to implement to favor a secular approach to the problem of religious, spiritual and non-religious minorities, with all the social, political and juridical consequences generated by the diffusion of these realities, also as a result of the growing phenomenon of migratory flows. There are many key ideas that guide the activity of LIREC: most important of all, the abolition of the privileges of the majority to the detriment of all the others, as, so says the Director, "in order to protect everyone, it is necessary that nobody is privileged". Moreover, religious freedom is not an issue for believers, but rather a secular problem on which the health of secular society depends. 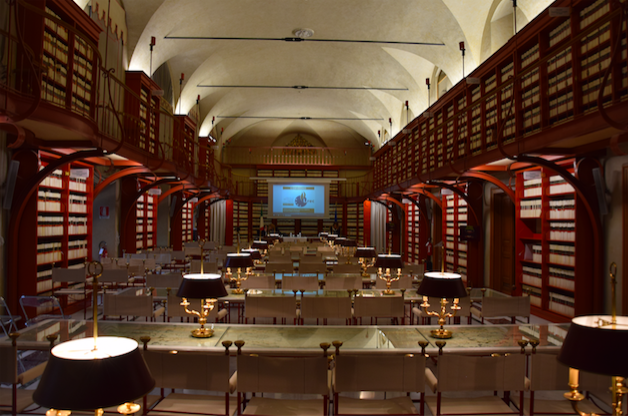 The LIREC Center respects and promotes religious, spiritual and non-religious diversities and arises within a society whose secularity is understood as a model of civilization in which the values f equality are higher than differences. LIREC claims its secularism: no group - believer, non-believer, atheist, majority or minority - has more say than others. LAICITY, therefore, is within the protagonists, within the objectives to be achieved and within the approaches through which those objectives are to be achieved. 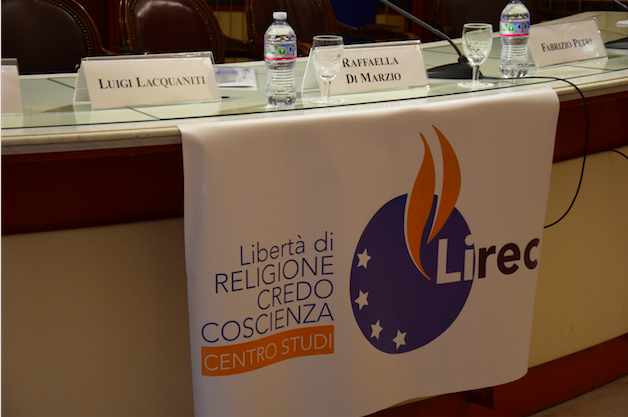 LIREC intends to refer to and implement, in the course of its activities, the Guidelines issued by the Council of the European Union in 2013, to report to the Italian and foreign institutions violations of the Freedom of Religion, Belief and Conscience occurring in Italy and in the world. During this round table discussion, moderated by Raffaella Di Marzio, Silvio Palombo (Damanhur, Community Federation), Paolo Narya Tosetto (External Relations Manager of Ananda Association) and Ataul Wasih Tariq (Vice President and Imam of the Ahmadiyya Community) have presented their testimony to some situations of violation in Italy and Pakistan. 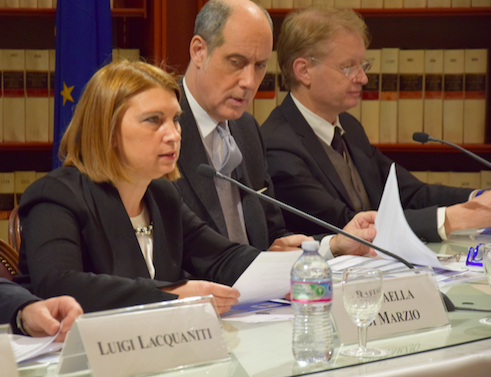 During this round table discussion, moderated by Raffaella Di Marzio, Mauro Bombieri (Communications Manager ISKCON-Hare Krishna), Elisabetta Nistri (President of the Women's Federation for Peace in the World), Massimo Introvigne (CESNUR Director) and Carmelo Persico (Public Relations Assistant - The Church of Jesus Christ of Latter-day Saints) illustrated the positive and negative aspects related to the effective realization of dialogue between religions and between believers and non-believers. During this round table discussion, moderated by Davide Romano, Director of the magazine Coscienza e Libertà (Conscience and Freedom), Camillo Maffia (External Relations LIREC), Claudio Paravati (Director of the magazine “Confronti”) and Giuseppe Rippa (Director of the magazine Agenzia Radicale) debated the open deformation of the wide-spread information in regard to the problem of freedom of religion, belief and conscience. Towards the end of the Conference, the Director of LIREC concluded by stressing the importance of raising awareness within a civil society on violations of human rights, of which violations of religious freedom is a striking example. She asked the public and the authorities who were present to support and solicit the intervention of the Center for Studies on Freedom of Religion Belief and Conscience signaling the critical issues and discriminations, thus contributing to entrench LIREC's activities in the territory, so that scientific research, knowledge and information never remain detached from day-to-day reality and from the real problems of the inter-religious and pluralistic society in which we live.